It’s officially baseball season! Which means that Los Angeles’ visitors and locals alike are venturing out to the Dodger Stadium in droves of blue and white. Most in desperate pursuit of the coveted DodgerDog, which is apparently being consumed at alarming and unsustainable rates, as reported by LA Weekly. But I digress. The thing about baseball, is that it not only provides Americans with endless entertainment and cause for rivalry, but for years it’s had a hand in shaping our culture. Baseball terms have been actively seeping into our everyday vocabulary since the eighteen hundreds. As a result we have a multitude of mutually understood colloquialisms such as: Rain-check. Right off the bat. All-star. Homerun, a term that has multiple meanings, depending upon your age and maturity level. Batting a thousand. Big league. Out of the park. There is an entire Wikipedia page dedicated to the Glossary of English-language idioms derived from baseball. Our personal favorite though, is Inside Baseball. Well, our newest weekly endeavor is to help bring you in on the joke, or rather the inside scoop. The hospitality industry is one that’s chockfull of terms and idioms only the insider would know, and yet it’s an industry that impacts millions every day. Whether you’re traveling via private jet, or staying at an Airbnb, you have a right to know what that thingamajig is really called. And how that delicious stuff came about. And why that one doodad does that one thing, as well as that other thing. The portafilter is a favorite doodad of many as it helps generate espresso, which in turn convinces us to get up in the morning, to have ambition, and to go after life’s biggest reveries. And yet this simple mechanism comes with a plethora of un-enlightening labels such as naked, commercial, double, single, bottomless, and pressurized. Basically, the portafilter is the very crucial part of the espresso machine that holds the coffee grounds. Porta, meaning door. Filter, meaning porous device which, like most coffee machines, holds the coffee. It is the glorious Italian door to life’s metaphorical rocket fuel. They come single or double – depending on how much caffeine you require. Commercial portafilters are great for restaurants, where the wear and tear is high and the device needs to be resilient. Bottomless or naked means the quantity and quality of the espresso dripping through is under greater control of the barista. 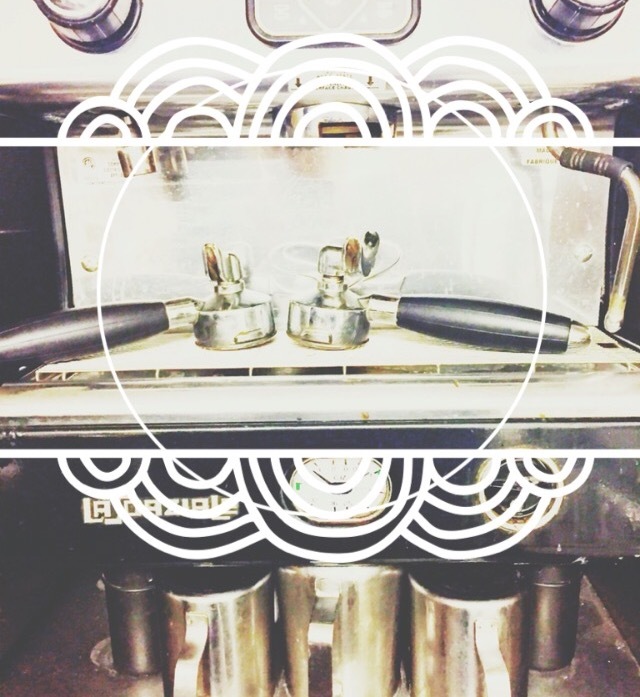 Pressurized, on the other hand, requires less craft, but delivers streamlined espresso results. Now you know a little more about the inside baseball device which helps deliver your daily vigor.